Christmas. Don’t you just love it! The food, the drink, the presents, the excitement… the mess, the exhaustion, the claustrophobia! Lovely as it is, by the time Boxing Day is through I’m gagging for fresh air, and lots of it. But as it’s been a bit, well, brrrrr, combining a walk with a museum stop is the perfect way to have your cake, and eat it. Literally. 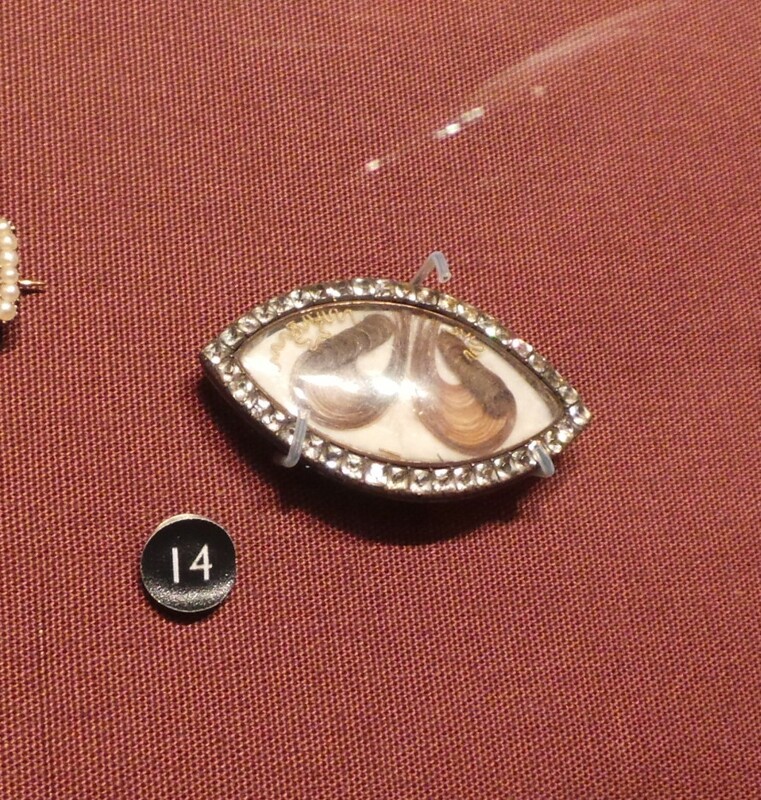 It was a three generational family outing, as Museum Nanna came too. 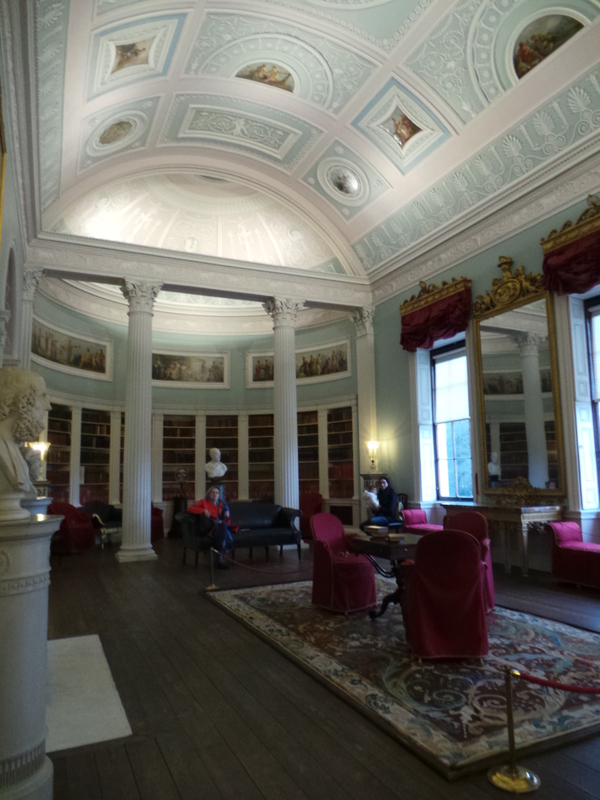 Kenwood House is a grand classical house and art collection nestled on the edge of the ancient Hampstead Heath. Just a few miles from central London, the Heath is like a large slice of the countryside – with panoramic city views. 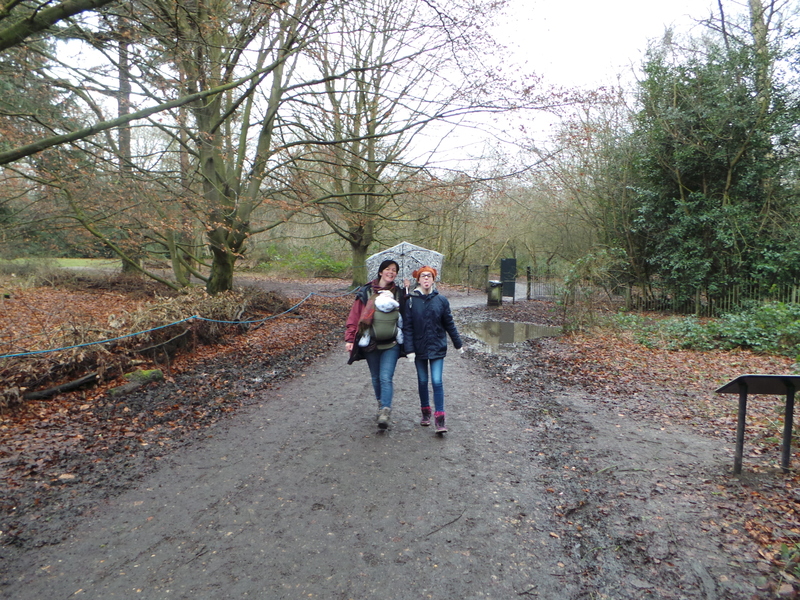 We caught an overground train to Hampstead Heath station and continued on foot through the great outdoors. Heigh ho, heigh ho, it’s trekking around the Heath we go! Directions to Kenwood are not well signposted on the Heath, so do check a map before you leave. Or just tramp around, get lost, and then follow a random man with dog who really just wanted a quiet walk. Alone. Our heathland adventure over, on arrival at Kenwood we surprised Museum Nanna with a meet-up with her sister and brother-in-law. Our group now had a combined age of over 300 and what with all that gallivanting on a cold heath we were more than ready to start our visit – at the cafe. The main cafe was packed to the rafters, but we found a large table in the atmospheric old kitchen. 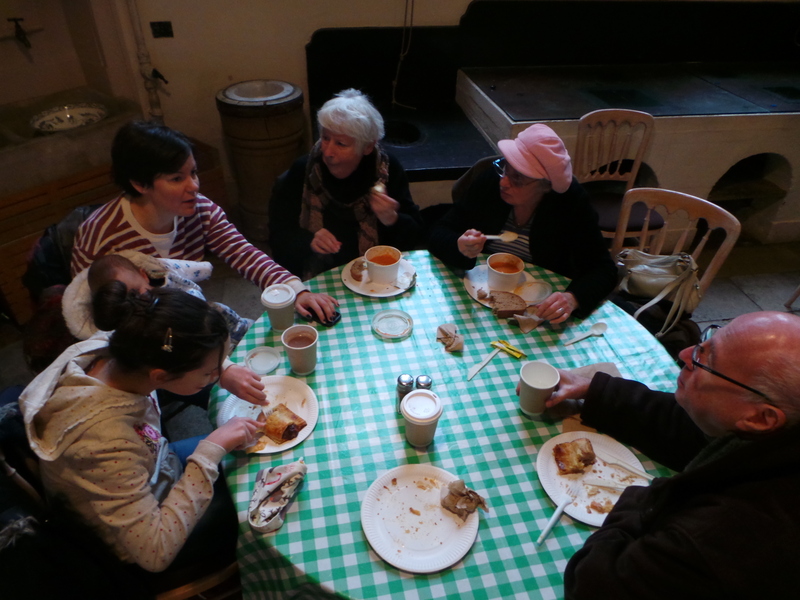 Hot soup, hot drinks and sausage rolls were the order of the day – and every last bit was devoured. We didn’t feel rushed so had plenty of time to catch up. Suitably refreshed, we then visited the house itself. We were greeted with staff who, apologetically, told us we had to leave our buggy a few hundred yards up the drive. On return, we noticed the warm welcome extended to a real, roaring fire in the lobby. In this cold weather, it felt very special – and fortunately the toddler has spent enough time with Museum Dad in the kitchen to understand not to touch things that are ‘hot’. 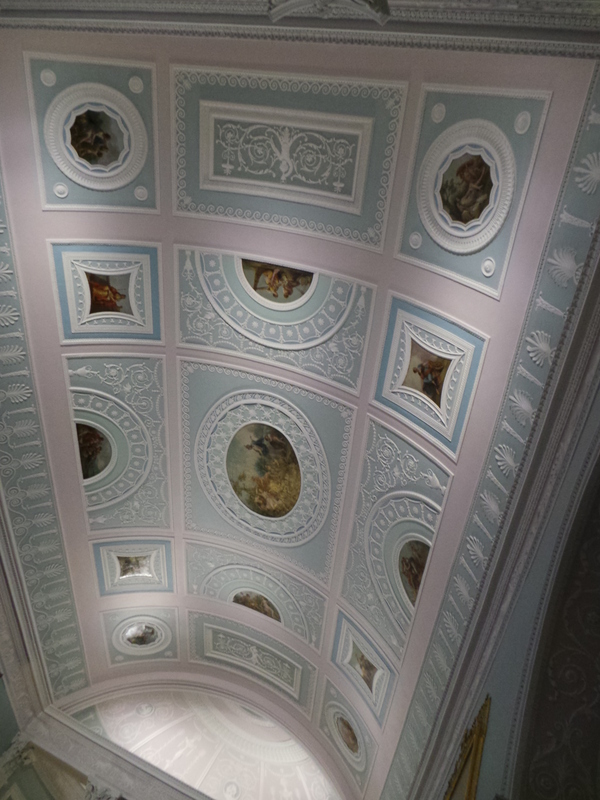 Kenwood, run by English Heritage has recently been beautifully renovated, but is more like an (admittedly world-class) art gallery than somebody’s home. There are some incredible paintings on display – it’s like a who’s who of old masters with works by Constable, Rembrandt, Reynolds, Gainsborough. 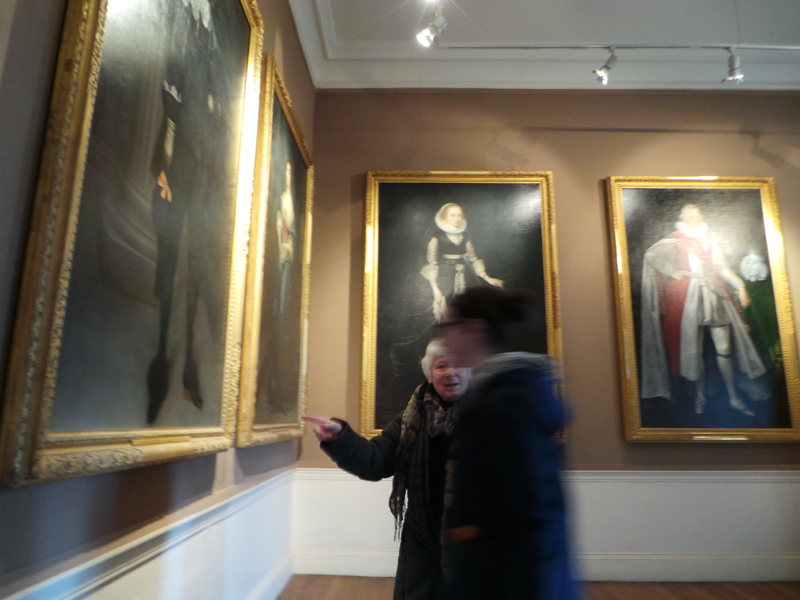 The great aunt took the tweenager round to look at shoes, costume and children in the portraits upstairs. 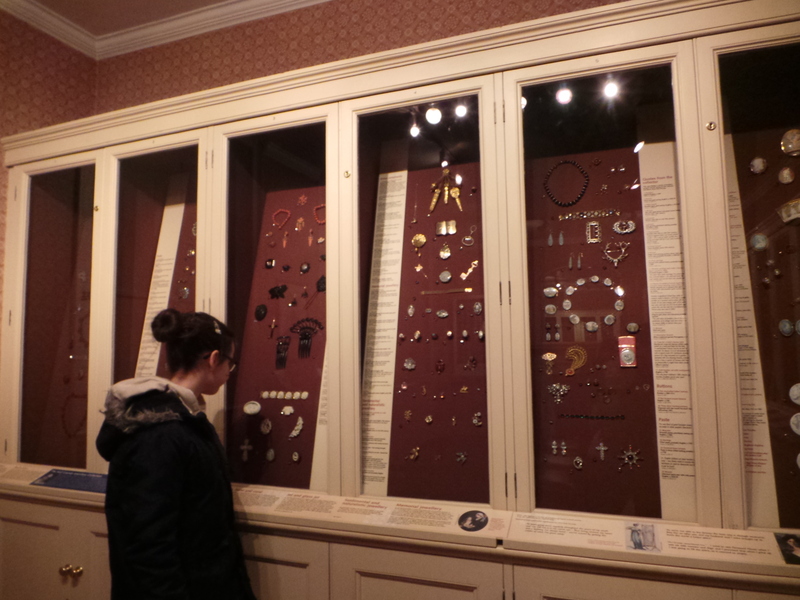 Heading downstairs we came across a small room stuffed full of shiny shoe buckles, jewellery and miniature portraits which the tweenager enjoyed exploring with me. 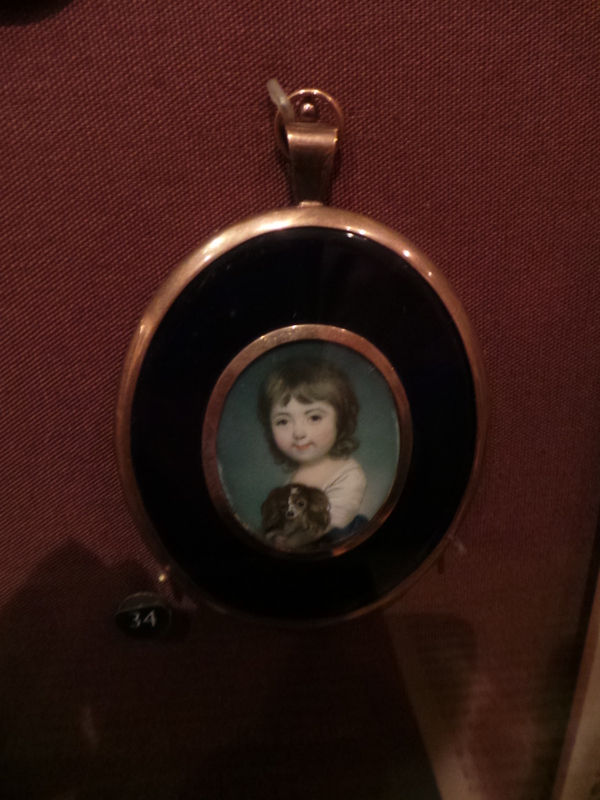 The tweenager picked this child’s portrait as one of her favourites, and we talked about why someone would want to have such a small painting of themselves or someone else. I’m banned from using the word ‘selfie’ in my house due to being *so embarrasing*, so it’s good to know eighteenth century portraits are neutral territory. Downstairs the paintings are more varied in subject, and I spotted lots of animals to point out to the kids. 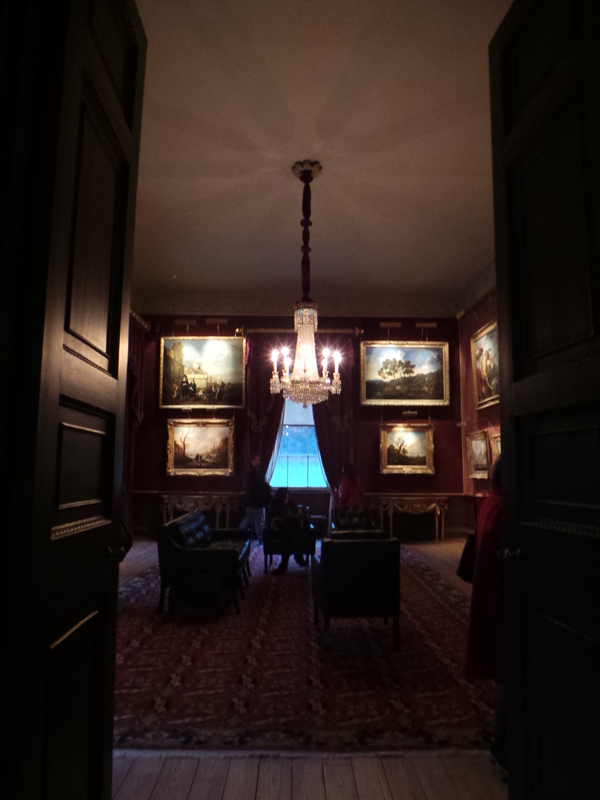 The rooms themselves were stunning and as the sky darkened they became even more atmospheric. The centrepiece was the beautifully elegant library, designed by the famous (read: only one I can remember) Georgian architect Robert Adams. The room host was extremely welcoming – rushing to greet me with a room guide as I carried Museum Baby in sling, he told me straight away the places I was welcome to sit (any black seat basically). And I needed a seat to check out the incredibly decorated ceiling. Kenwood Library: open more than your local library. But do not ask to borrow books as embarrassment may cause offence. The kids however missed the whole of downstairs as they were too busy in the making session in the Orangery. What they were meant to be making was unclear – but they got stuck in, and managed to produce a card (as well as a mess). They weren’t too keen to see much more of the house. 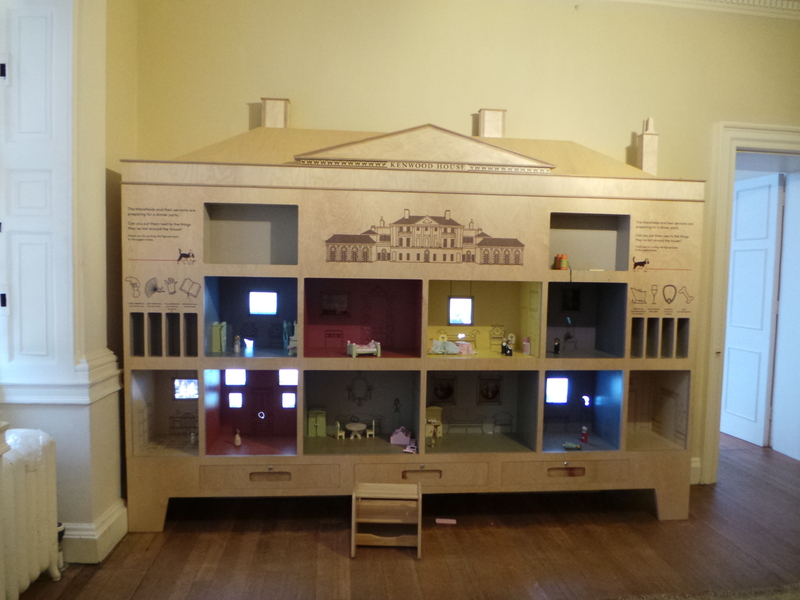 Next to the Orangery was a family room which included a rather giant dolls’ house with peg dolls to play with. How ever did Santa fit THAT on his sleigh? 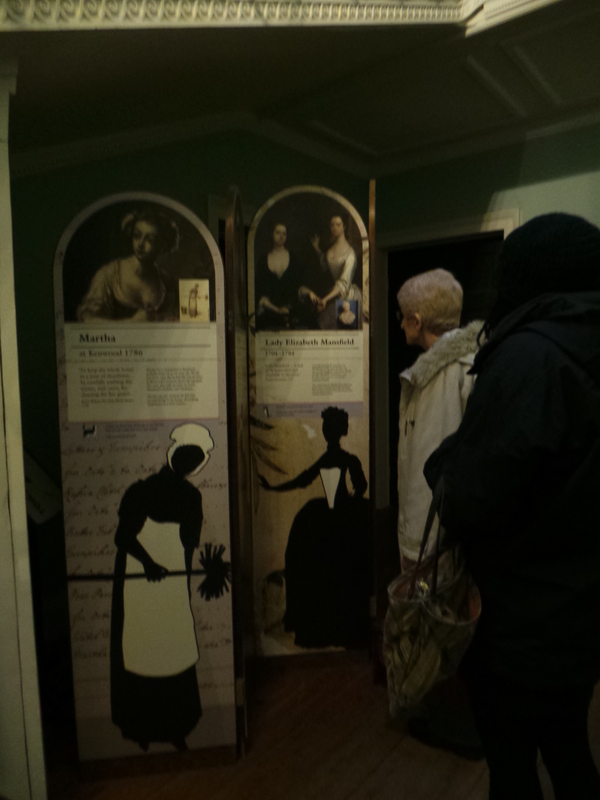 The room also contained a small binder filled with stories of the families who had lived in the house, and wonderful portraits of local families. It’s a shame that this interpretation hadn’t been more integrated throughout the house – I do feel that these people stories are what Kenwood is missing. It was the part which brought the place most to life for me, but felt sidelined and easy to miss. I think I may not be alone, as when I stumbled across a screen with histories of previous residents tucked under the stairs, there were four other people eagerly reading it. A family trail is also available if requested, but the tweenager thought it a bit young for her, and it was a bit too old for the toddler. We didn’t see nor were we offered any of the other wonderful family resources listed on this page. Darn. With night nearly upon us, it was time to leave. In the words of the tweenager ‘I liked it, but I didn’t think I was old enough for it’. 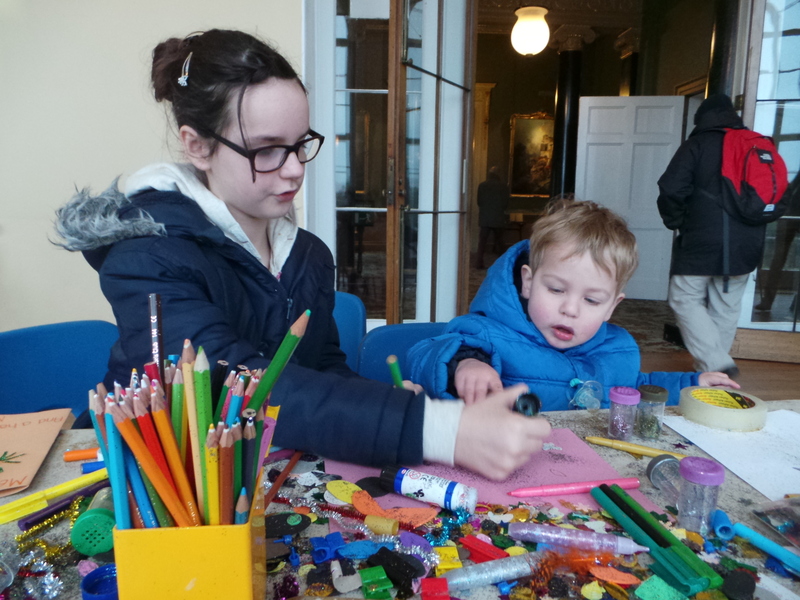 Kenwood will definitely appeal to the older family members but has just about enough for the kids too to make it work – as well as art sessions, they also hold storytelling events and an under fives group. My rule of thumb would be, if the combined age of your family group is over 125, it’s a good cross-generational place to go. Combine a tramp across the heath, a well-deserved cafe treat and a look at some world-class art and it’s a great day out. Buggy accessible? : No, you’ll have to leave your buggy a few hundred yards away in a covered buggy park. Locks are provided but no keys. Baby changing: One in the disabled toilet, near the cafe. Toddler time from galleries to toilets: You’ll need to pop outside to the toilets by the cafe, so allow a good couple of minutes. 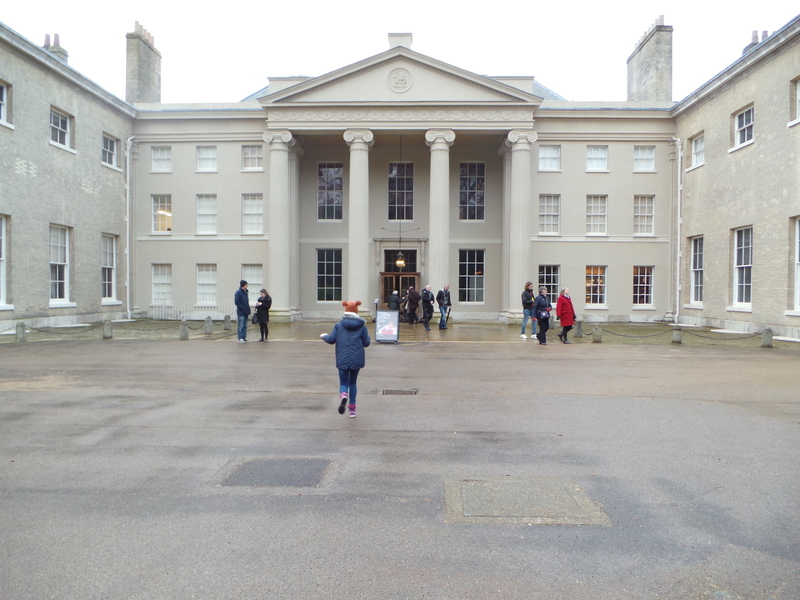 Nearest playground: Kenwood House has 112 acres of its own grounds to explore with a family trail. There’s an award winning playground with paddling pool at Parliament Hill and a One O’Clock Club at the Peggy Jay Centre. Here’s a map of the Heath to avoid you getting as lost as we did! Want to make more of a day of it? Hampstead Heath is massive and great to visit year round. You can fly a kite from Parliament Hill, visit the animal enclosure at Golders Hill, or go swimming in the Lido or outdoor bathing lakes. Nice one Vyki, useful reading. 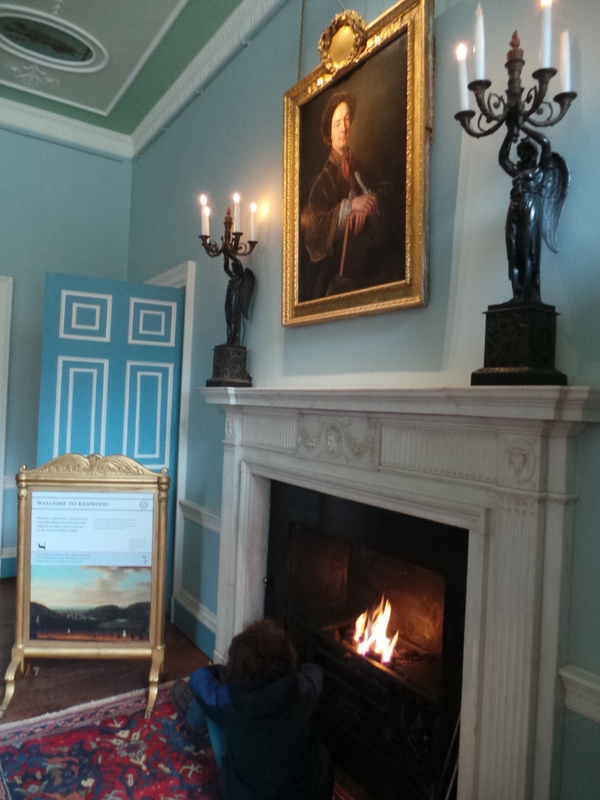 I’ve been to Kenwood House at least 10 times over the years and didn’t realise how much there was to do there. Thanks Clare – hope you enjoy your next visit even more! One of my favourite places in London and I haven’t been there for years. It is back on my list of places to go.